A graduate of Scot Lewis Beauty School in 1990, Lisa worked at Regis Corporation for over seven years as a stylist. 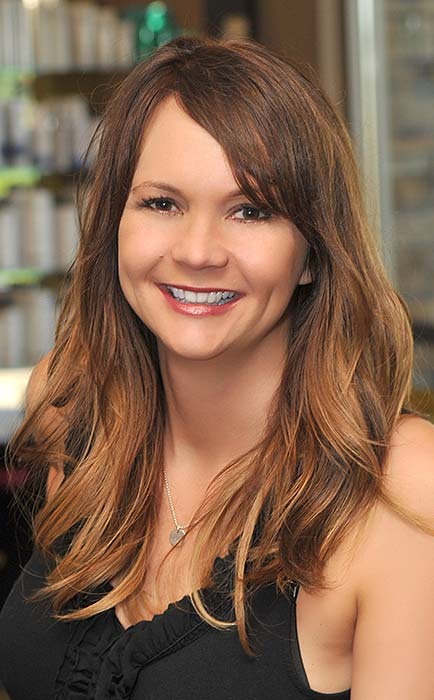 Wanting to be a part of a full-service salon and spa, Lisa joined the Simonson’s Salon & Spa team in 1998. During Lisa’s tenure with the company, she has proven to be a team leader and role model. She has managed, coached and had a profound influence on her fellow colleagues. Throughout her career, Lisa has been inspired by some of the beauty profession’s brightest superstars in her quest to become a superstar in her own right. She possesses a colossal treasure trove of competences which include haircutting and styling, hair coloring, hair extensions, professional products and customer service. The role of the Skills Coach and Educator is to teach team members how the evolution from being a 3S (Simonson’s Salon & Spa) Ambassador translates into world-class customer service then translating into customers-for-life. Lisa’s powerful program contents enumerates the need to not just meet, but to exceed, every guest’s expectations.